Earlier this month, Julie Ferguson blogged the hazards of unsafe trenches. Today we examine the consequences of unsafe trenching for Oscar Avalos, a laborer for a Texas-based company involved in the installation of sewer pipes. The good news for Oscar is that a jury awarded him $4.5 million for the general contractor’s negligence in supervising his jobsite; a court of appeals has upheld the award. The bad news, of course, is that Avalos will never work again. Nowak Construction, a Kansas-based company, was hired by the city of El Paso, Texas, to install new sewer lines. James Heiman, Nowak’s onsite superintendent, was neither an engineer nor safety expert. In their plans submitted to the city, Nowak proposed using trench boxes for safety, a proven means of preventing trench collapse. Unfortunately, when they hired Rocking Q as a subcontractor, they did not require that Rocking Q adhere to the trench box procedure. Instead, they deferred to Rocking Q’s decision to use “sheet piling” – a form of bracing in which steel plates are driven into the ground with a backhoe and then secured with chains. This alternative plan was never submitted to the city for approval. Thus we have a jobsite where digging and maintaining trenches are a constant activity, where the original safety plan has been scrapped, and where an alternative plan is in effect. Rocking Q did not use any cross-bracing to support the street plates. Rocking Q’s owner testified that no one from Nowak told him that this was unsafe or asked him to use cross-bracing. Further, an engineer representing the City visited the work site daily and never criticized the trench safety system (in itself fodder for another blog posting). On the evening of September 13, 2006, 1.15 inches of rain fell within a two-hour period. At about 7:30 the next morning, site super Heiman went to the area where the Rocking Q crew was working. He then went to work about 150-feet away, within sight of the Rocking Q crew. Here comes the astonishing part: Heiman testified that he returned to the area at around 12:30 or 1 p.m. and saw that the street plates were not anchored in any way – they had neither chains nor cross-bracing. Heiman did not mention to anyone that he thought the site was unsafe. Just two hours later, the dirt behind a street plate collapsed, causing the plate to fall on Avalos while he was working in a trench. The unanchored plates, intended as safety barriers, were transformed by unstable earth into moving objects with catastrophic impact. Avalos was totally disabled in the accident. Heiman testified that the street plates were tied back with a chain. Heiman had never before worked on a job in which street plates were used for trench safety. He had some initial concerns about [the subcontractor’s] system because no structural supports were used for the street plates. According to Heiman, [the sub] told him “that’s the way they do it in Texas.” Heiman called Mr. Nowak to report his concerns, but he also told Mr. Nowak that [the sub]’s system seemed to be working. Mr. Nowak spoke with [the sub], who assured him that the plates were being hammered into the ground properly and that a chain was being used to anchor the plates. Mr. Nowak then approved the use of street plates for trench safety. By giving a verbal OK to the revised trench safety plan, and by not seeking El Paso’s approval for the change, Nowak assumed liability for the consequences. When the trench failed, Nowak became the responsible third party for Avalos to sue. One of the intriguing aspects of this case is the way everyone overlooked an obvious hazard, including the city’s own site inspector. Trenches were routinely secured by plates driven into the ground. There were no cross braces – indeed, no requisite trench boxes – in view. Based upon the testimony, it appears that chains to secure the plates were not used consistently. Because we are consultants, LynchRyan always has the benefit of seeing job sites for the first time. We view the work being performed with the eyes of a stranger, because we are, literally, strangers. As part of our approach to safety, we encourage companies to look at the work being done as if they had never seen it before. Routine fosters indifference. I once toured a large warehouse with the company safety director. We came across an employee awkwardly pulling a bulky box from a shelf above his head; a rolling ladder stood a few feet away. What I saw was a very unsafe practice which could easily have been mitigated by using the ladder; what the safety director saw was his buddy, Ralph. He waved to Ralph and we moved on. Everyone knows that trenches are dangerous. As OSHA frequently notes, “an unprotected trench is an open grave.” Yet even in companies whose only work involves trenches, the hazards persist. Despite OSHA’s videos, PowerPoints, brochures, and posters highlighting trench hazards – along with well-publicized fines for failure to comply – bad safety practices in trenching persist. In losing this liability case, Nowak has probably learned a painful lesson. But I shudder to think that big time lawsuits are the only effective way to motivate management to take trench risks seriously. There’s breaking news in the ongoing criminal investigation into the Upper Big Branch Mine disaster that killed 29 miners in 2010. The Charleston Gazette’s Ken Ward Jr. reports that a mining manager has been charged with conspiracy. supervisor Gary May is charged with plotting “with others known and unknown” to provide advance warning of inspections, concealing violations, falsifying records, and taking steps to conceal actual work conditions. He is also charged with disabling a methane monitoring system a few months before the explosions. At his Coal Tattoo blog, Ward offers more context about May and the charges against him. Ward, other industry observers, and other media indicate that the way the charges are structured would seem to indicate that the investigators are looking to upper levels of the organization. It would seem that there are more shoes to drop in this sad saga. For ongoing coverage of Massey’s UBB mine disaster, see Coal Tattoo / Upper Big Branch Disaster and the Upper Big Branch Mine Disaster archives at The Charleston Gazette. Insurance Regulatory Law is this week’s host for Cavalcade of Risk #151 – and it’s a challenging one! Dr. Paul Volkman specialized in mitigation of pain. Did he ever. From 2003 to 2005 he was the most prolific prescriber of Oxycodone and related opioids in the entire country. He was recently sentenced to four life terms in prison for the deaths of four patients. There were eight additional overdose deaths associated with his practice, but these lacked enough evidence to prosecute. Patients came from hundreds of miles away and were charged $125 to $200 in cash for visits to see a doctor. Volkman’s distribution system had a devastating effect on southern Ohio, where he based his practice. Prosecutors said Volkman rarely, if ever, counseled patients on alternate treatments for pain, such as physical therapy, surgery or addiction counseling. Volkman denied the allegations and said he always acted in good faith. A month before his conviction, he dismissed his attorneys and defended himself. His skills as an attorney appear to be totally in sync with his skills as a physician. Volkman went to work at the Tri-State Health Care and Pain Management clinic in southern Ohio in 2003. The clinic was operated by Denise Huffman and her daughter Alice Huffman Ball, who have pled guilty to one count of operating Tri-State as a business whose primary goal was the illegal distribution of prescription drugs. Denise has been sentenced to 12 plus years in prison; her daughter is serving five years. Both testified against Volkman, as did a horde of witnesses including pharmacists, police investigators, clinic employees and patients who received pills from Volkman. What is striking about this case is the harsh sentencing. Four life terms is the kind of sentence you rarely see applied to white collar criminals; Volkman was sentenced as if he were a run-of-the-mill (pun intended) drug kingpin, which, minor differences aside, he was. Through the wonders of the internet, we learn that Volkman had a three star rating from his patients and earned his medical degree at the University of Chicago Pritzger School of Medicine in 1974, followed by a residency at Duke Medical Center. After that, well, something went terribly wrong. Nonetheless, with his impressive creds, he’s sure to be a very popular man for the rest of his highly circumscribed life. A couple of years ago we blogged the performance incentive program at Smurfit-Stone Container Corporation in California. The performance numbers were stellar, but not necessarily because the work was performed safely. Instead, the company conspired with local medical providers to secure limited treatment outside of the workers comp system. Two supervisors pled no contest in conspiring to deny comp benefits to injured workers. With the recent conviction of chiropractor Robert Schreiner, we see into the black box of the conspiracy. Workers complaining of work-related problems were referred to doctors like Schreiner – giving rise, alas, to a new and ominous definition of provider network. In one instance a worker complained about a neck and shoulder injury. Schreiner denied that the problem was work related, saying that it was caused by carrying a back pack as a child. He provided a handful of treatments and then encouraged the worker to file the claim under his health plan to continue treatments. When the worker persisted and filed a comp claim, he was fired. Schreiner is headed to jail to serve a mostly symbolic sentence of 30 days, to be followed by three years of probation. Perhaps he can provide some adjustments to his fellow inmates. Confined spaces sure can mess up the spine. As litigation has proven, Smurfit-Stone’s low OSHA case rate has less to do with safety than with a conspiracy to under-report claims. Perhaps the SAFE program stood for something else: Screw All Forsaken Employees. Aggressive safety goals are a good business practice; circumventing the workers comp system is not just a bad practice, it’s illegal. Just ask Robert Schreiber. A little more than a week ago, family members and coworkers watched helplessly as 39-year old Raul Zapata was buried alive when a wall of dirt fell on him at a residential construction worksite in Milpitas, California. Zapata was working in a 12-foot deep ditch, the foundation of a 5,800 square foot home in a gated community. The cave in was extensive enough that it took two days to rescue his body. Zapata and his coworkers should not have been working at all that day because three days prior, the city had issued a stop work order to the construction company, U.S. Sino Investments Inc. The order was issued after a city building inspector determined that the ditch was a safety hazard due to a lack of adequate shoring to prevent a cave-in. 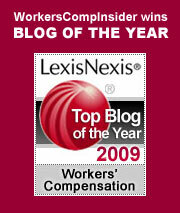 To add insult to injury, the employer did not have workers’ comp insurance. They also lacked a permit, a state requirement for any projects deeper than five feet. In a case of closing the barn door, the Contractors State License Board has since suspended U.S.-Sino Investment’s general building contractor license for this failure. The flouting of the stop work order, the failure to get a trenching permit and the failure to carry workers comp coverage – these are not unsurprising accompaniments to trenching fatalities. Fatalities are often preceded by multiple citations or warnings and violators are often serial violators. It’s not uncommon for OSHA to issue mulitple “willful” citations related to trenching failures. OSHA defines a willful violation as one “committed with an intentional disregard of, or plain indifference to” OSHA requirements, the highest level of citation, carrying fines of $5,000 to $70,000 per incident. Two workers a month are buried alive in trench collapses. Most of these tragedies are avoidable simply by following OSHA standards, which mandate that all excavations 5 feet or deeper be protected against collapse. It’s a stroke of luck that no other workers were killed at the Milpitas site – it’s not uncommon for rescuers to rush to the aid of a victim and become entrapped themselves when an a secondary collapse occurs. Trench rescues require speed, precision, and expertise.